Without Charity | Three murders. One small town girl at the center of it all. It’s been a while between entries, but we have made the leap into the streaming realm and Without Charity is now streaming on Amazon. We decided to upload it at the very end of July and would like to announce that is available for you to view at your leisure. You can rent ($1.99 for a seven day rental), buy ($4.99) or stream the film (free for Prime members). The Amazon platform is extremely reliable, and at last count has over 350,000 streaming minutes. That is nearly 5000 views in just over two weeks of it being live. We want to thank everyone for their continued support of this film. 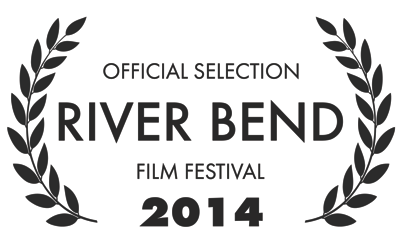 Without Charity has been selected to be screened at the 2014 River Bend Film Festival in South Bend, Indiana. It will be screened on April 5 at 3:15pm at the Century Center. Information about tickets can be found here. 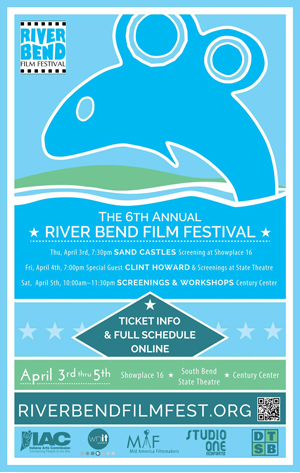 Stop on by to support the many films that will be showcased at this event. Without Charity is now available on DVD for $12 + $3 shipping/handling. Order now by clicking on the “Media” Link above. I will ship orders twice a week, so please be patient for delivery. Thanks for your support. Any questions, feel free to post them here or email withoutcharity@gmail.com. Thank you! Hello everyone. Without Charity is now available for digital download for $8. You get a HD quality file of the 72 minute film in Quicktime format. We are also very close to making physical copies available. Without Charity made front page news in South Bend on September 5, 2013. Hey everyone, tickets are currently on sale for the South Bend screening of Without Charity. If you follow this link you can purchase tickets online and either have physical tickets sent to your address, or you can print them from home. Doors open shortly after 12:15 at the State Theater. The showing is scheduled for 1pm on Sunday, October 6. Gearing up for the South Bend screening. We’ll be announcing pricing soon for the event.